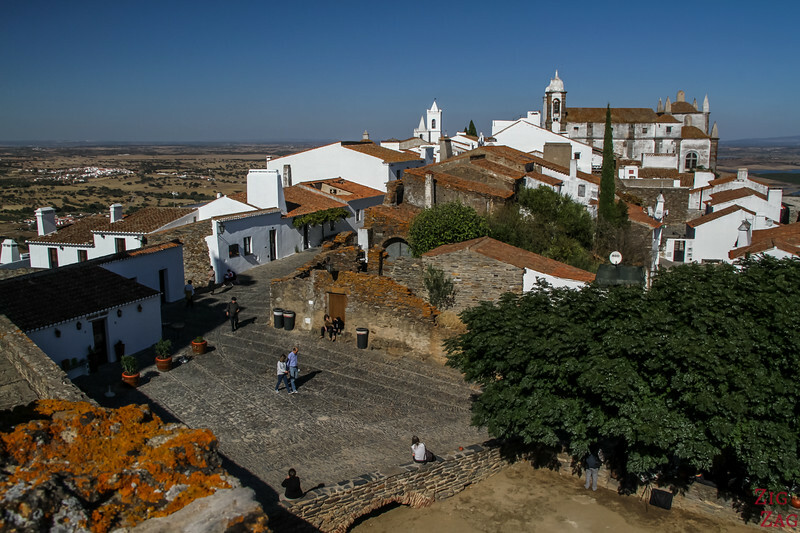 Monsaraz is quite out of the way, in an area close to the Border with Spain. 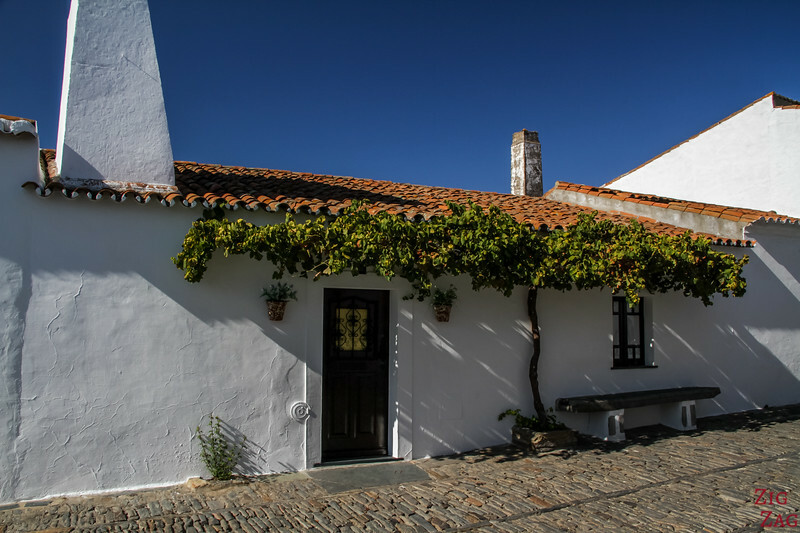 There are other sights to enjoy right in the vicinity, but between Evora and the village of Monsaraz Portugal, you will enjoy miles and miles of or farming land and trees. 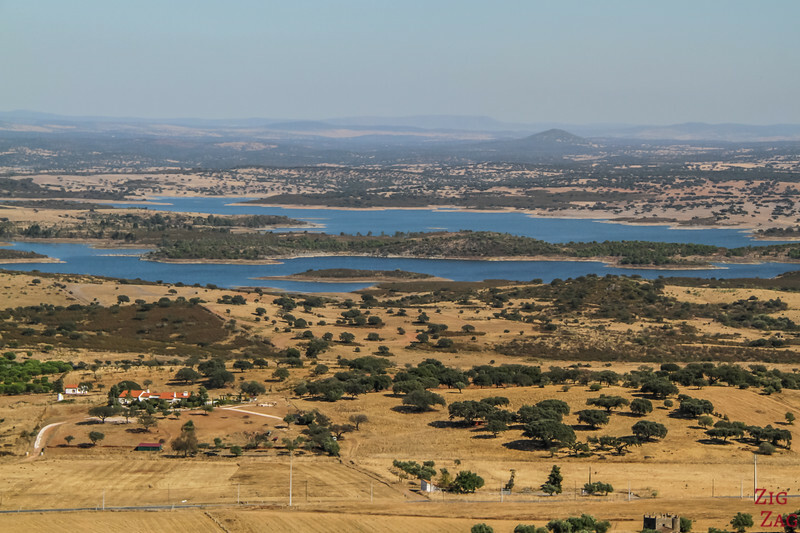 As you approach the area of the Great lake (artificial lake), you can spot Monsaraz on top of a hill with its castle at one end. 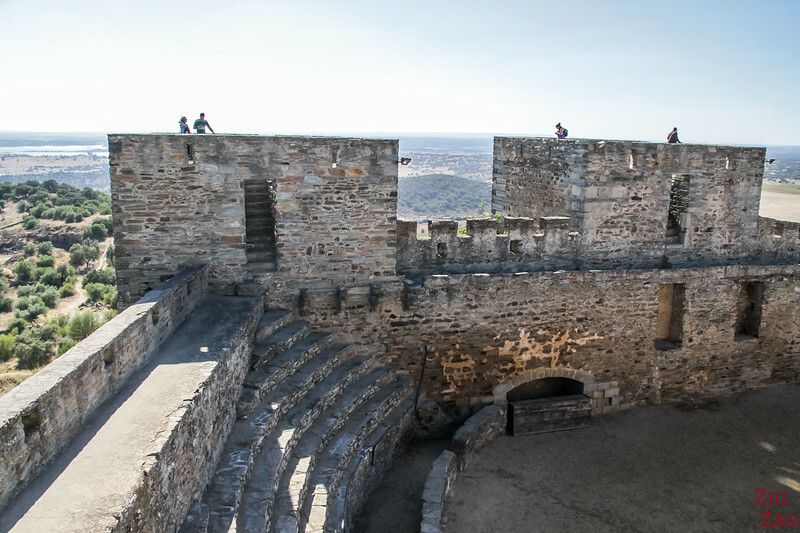 There is a large parking on the hill on the way to the fortification. 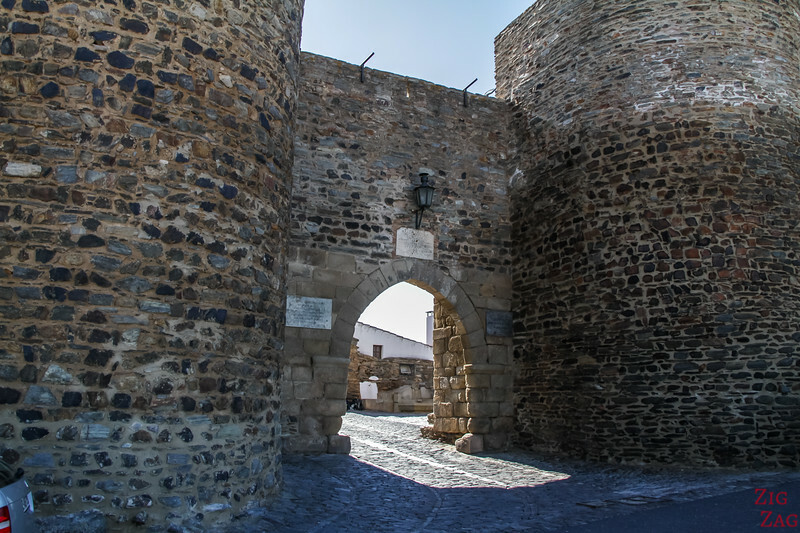 You will enter via the gate 'Porta da Vila'. 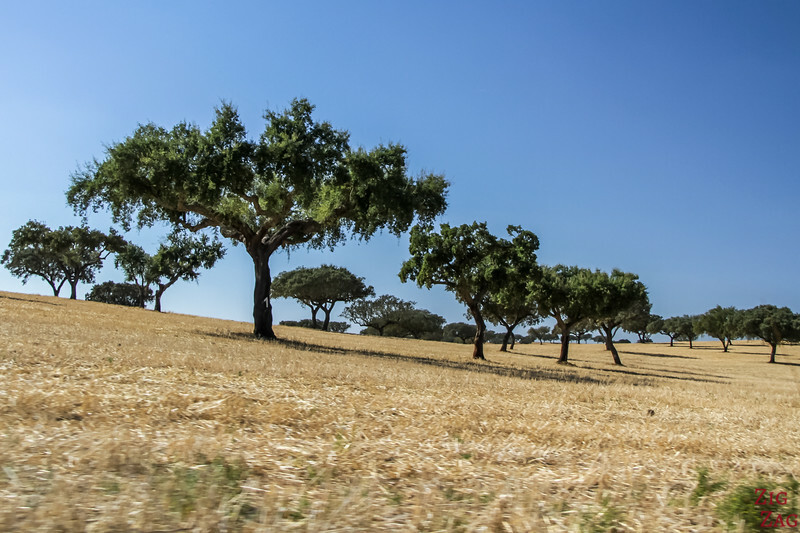 But before that, enjoy the magnificent views of the Alentejo region and the Great lake. The intense blue has a good contrast against the dry land. 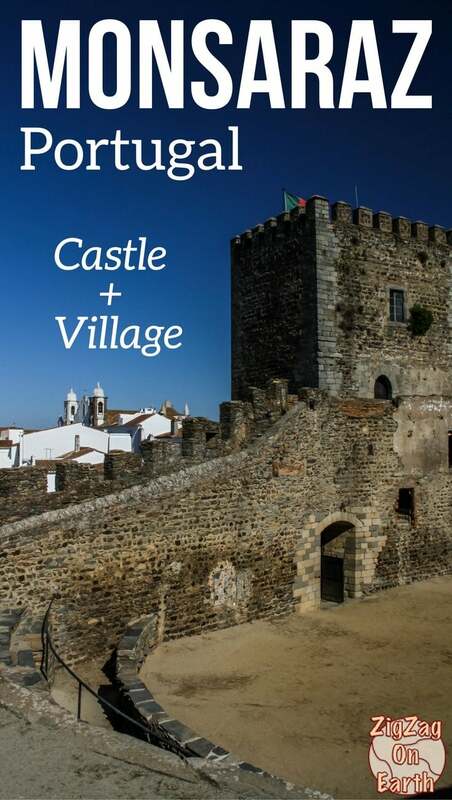 Then you can explore the village. Don't worry you won't get lost, it is not big! 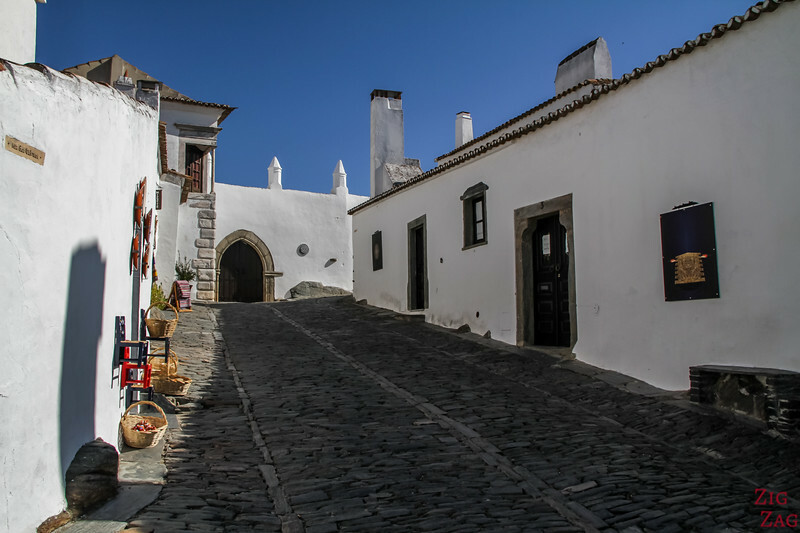 Like many other Portuguese villages, Monsaraz has white houses and cobbled streets. However, there is definitively a very different atmosphere in that village. 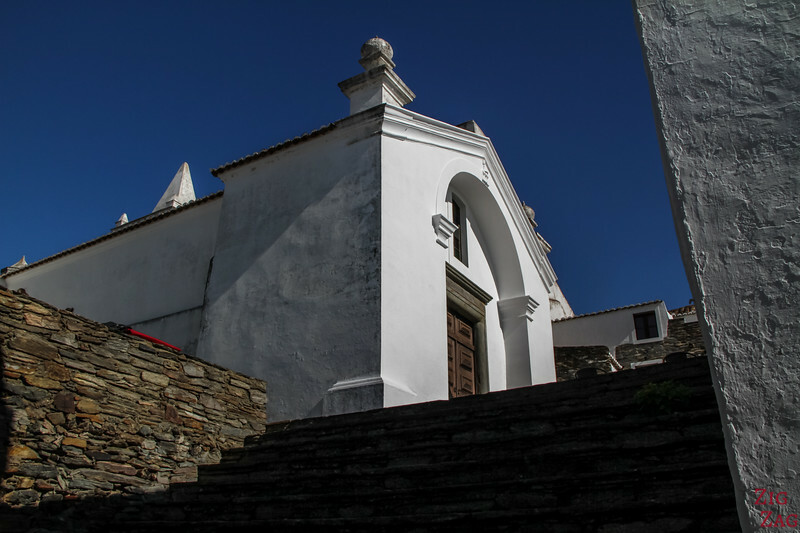 I can't tell you exactly what it is, maybe the shapes or the fact that it was a rich area, but it does not feel the same as visiting Obidos or Marvao. I was pleasantly surprised. 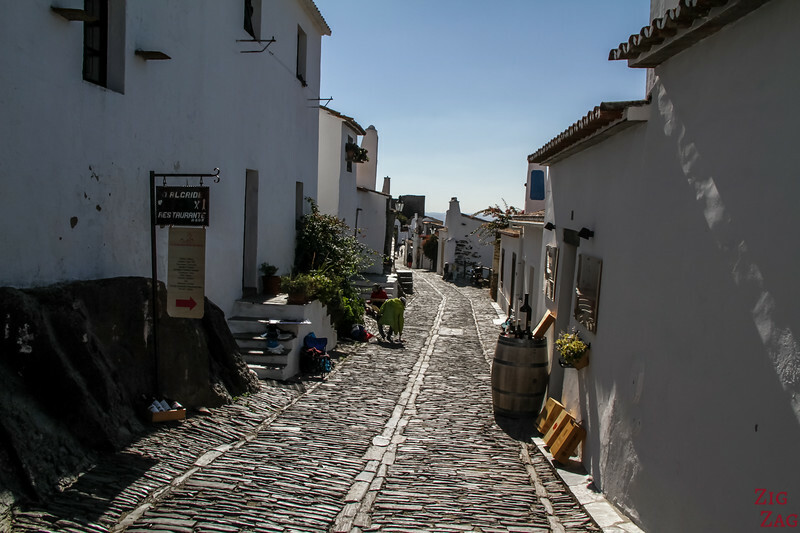 Of course, it is very touristy with souvenir shops and restaurants in those white houses, but when I visited it was not too crowded. I love trees growing on walls! How about you? 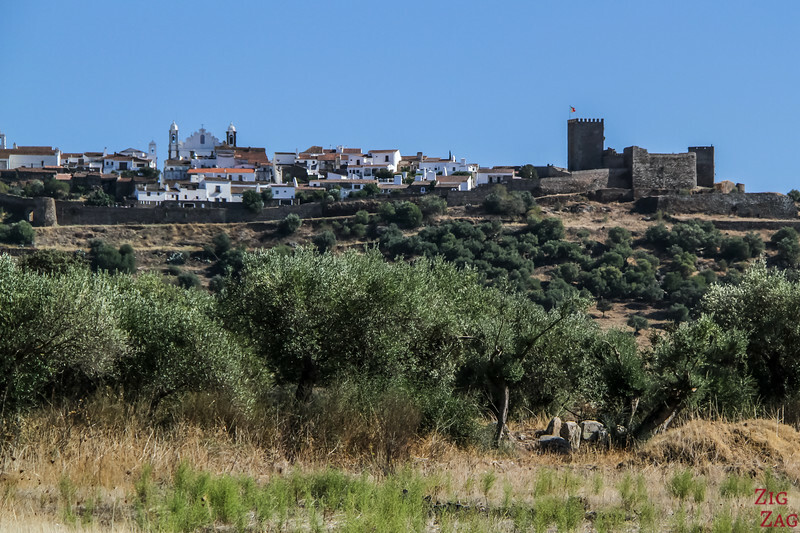 The other highlight of visiting the village of Monsaraz Portugal, it the fort at one end. 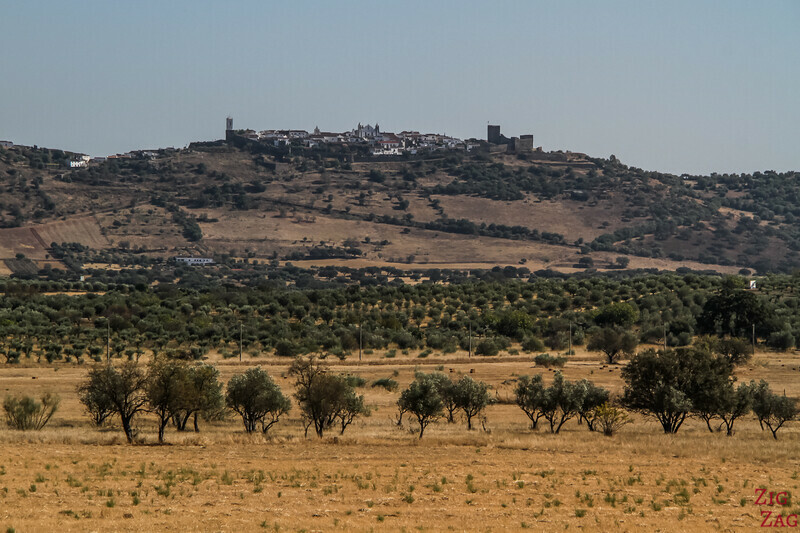 The Monsaraz Castle is tiny, but once again, it look quite different from the castles of the other villages such as Marvao or Obidos. It looks more like and area with some towers around it. You can enter it at the ground level or climb to the walls and towers. 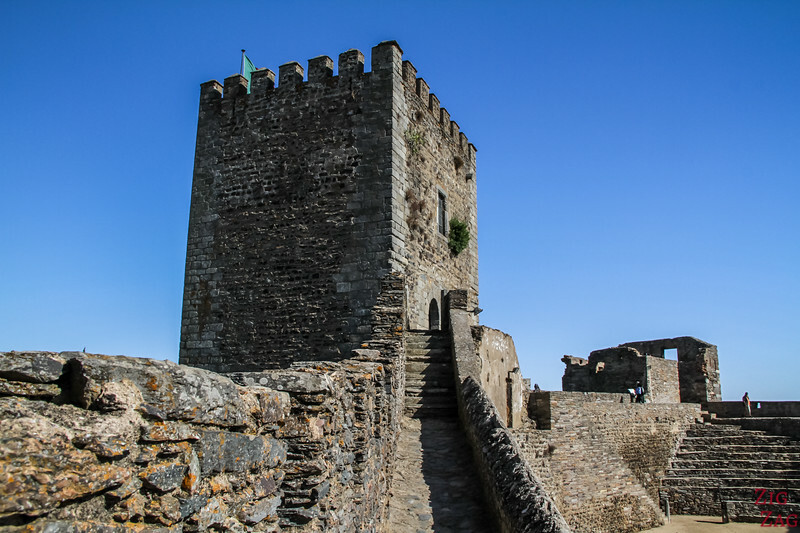 There is a tall keep in the center of the castle. Thanks to the village's strategic position, it was easy to detect the presence of the enemy well in advance. 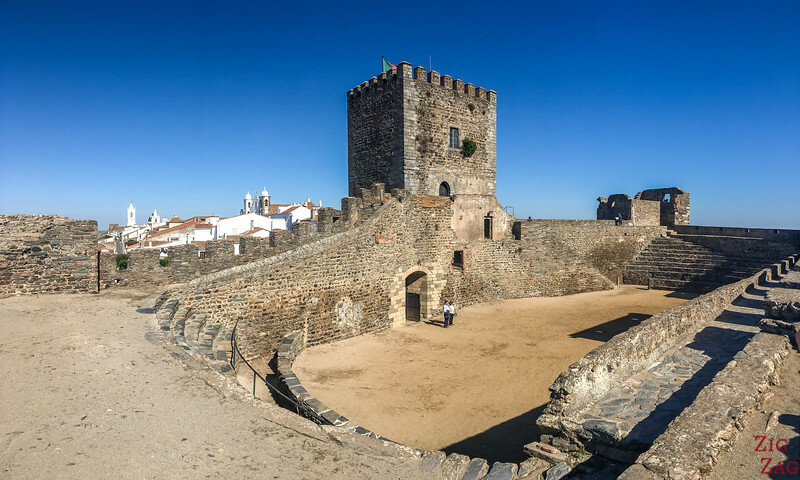 Especially has watchtowers had been built around the area and could communicate with this main tower. 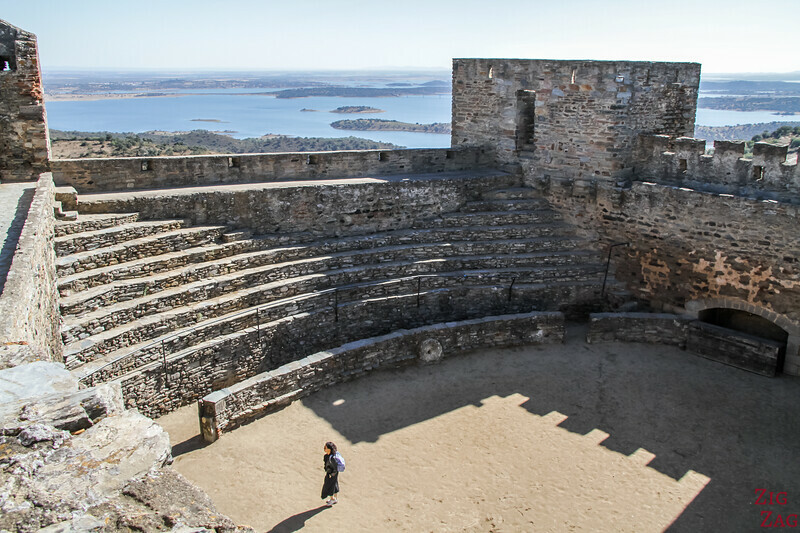 As you will see in the next paragraph, it is worth making the effort to climb on the tower to admire the views of both the village and the region. 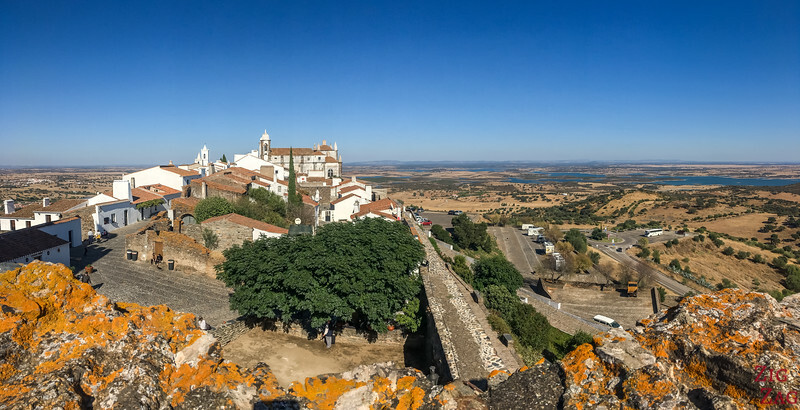 And here are the magnificent views from the walls of the Monsaraz Castle. I could have stayed hours just observing. When I visited, some artists had set up there and were doing great work! 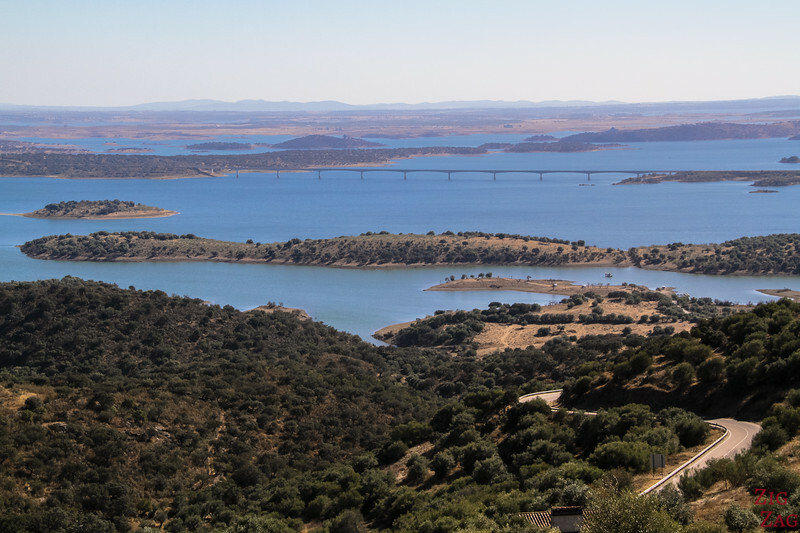 This is the view over the Great Alqueva lake, which is the largest artificial lake in Europe. It covers 250km2 and has 1100km of shoreline!!!!. Thanks to its reservoir, it can supply 200,000 people with water. If you want a break from your road trip, you can enjoy water activities there. See, it is so big, that there is even a bridge to cross it! 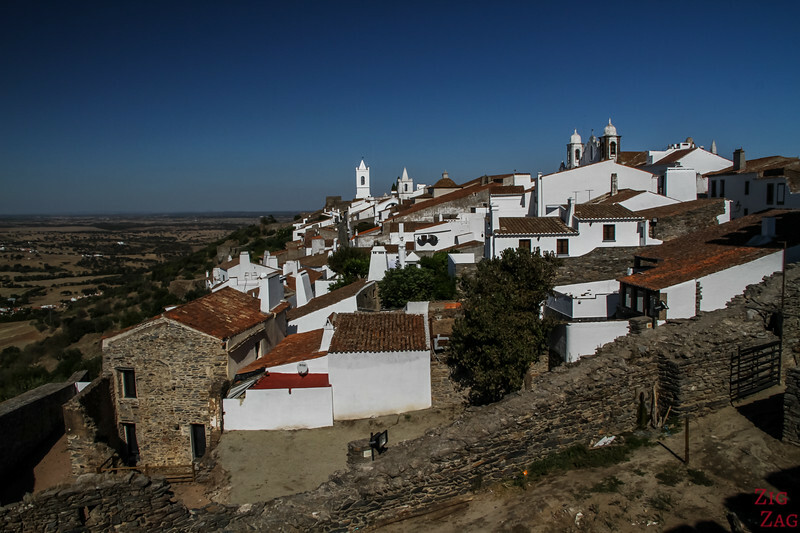 From the other side of the castle walls, you can enjoy bueaitful views of the Monsaraz village and its white houses. 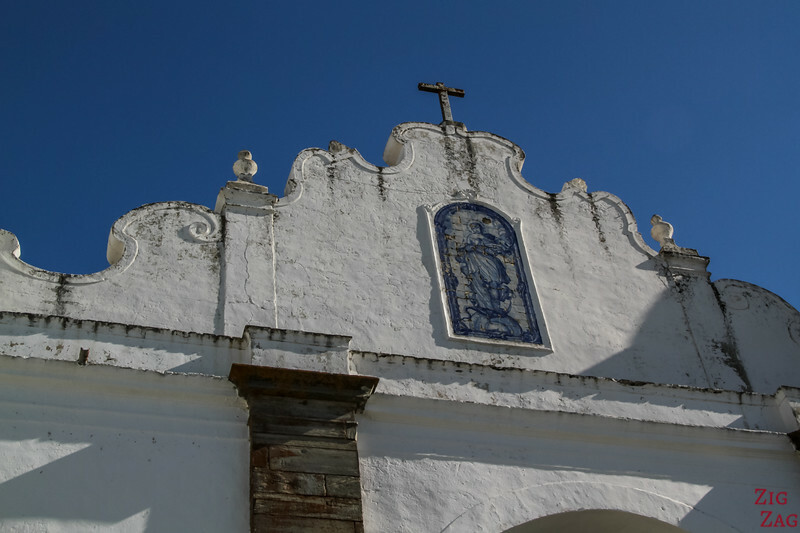 In the center of the village is the church: Igreja Matriz Nossa Senhora da Lagoa. Not so easy to say!!! There was an early Gothic building from the 13th century. 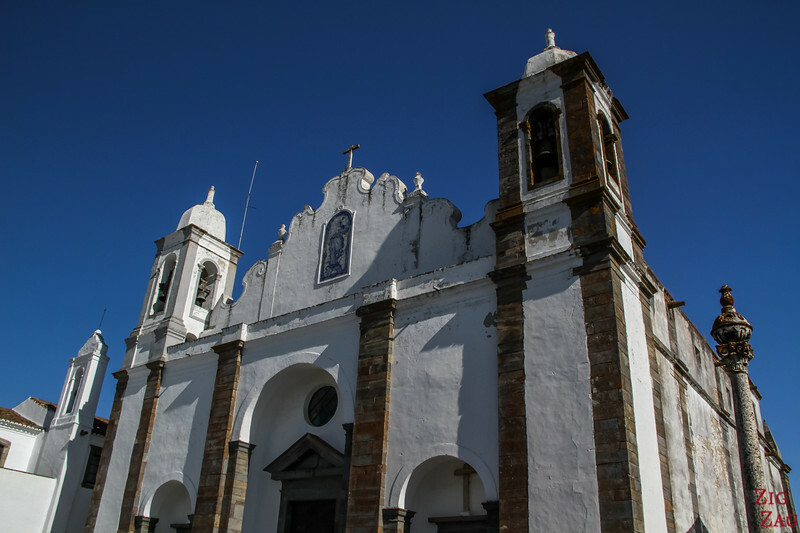 The current church is of Renaissance style from the 16th century. This section contains affiliate Links (more info on the Disclosure page). 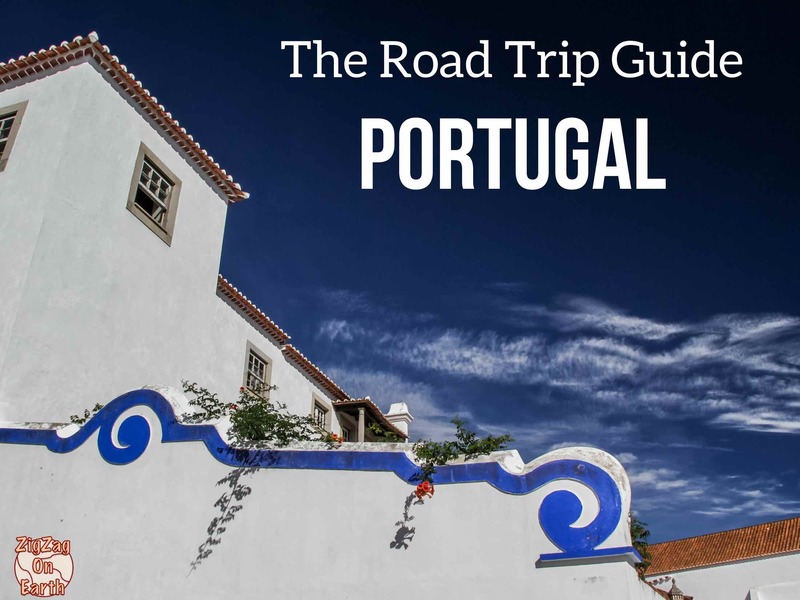 ​Located in the Alentejo Region, East of Evora, near the border with Spain. Stunning views, don't you think?